By age 31, Brian Tajo was hitting his professional goals with remarkable speed and precision. He had worked as a consultant for IBM, a workday design manager for Johnson & Johnson, and a product manager for Salesforce. He had just started an MBA, a longtime aspiration. But hovering above these milestones was a different deeply personal goal, a calling he had felt for years. It had to do with what his parents, natives of the Philippines, once told him. 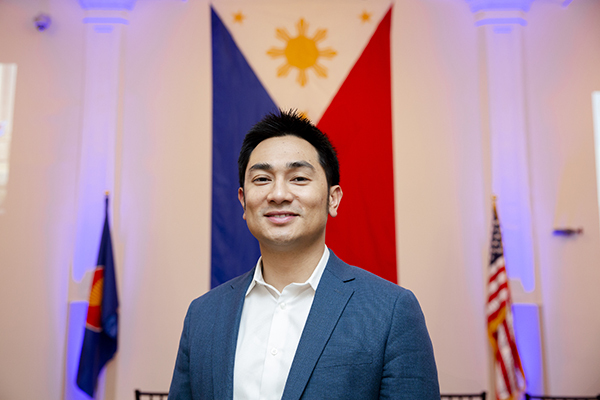 Brian saw that opportunity in the Filipino Young Leaders Program (FYLPRO), a nonprofit group dedicated to the advancement of the Philippines and its people. Every year, FYLPRO selects 10 people under the age of 40 for a special delegation to the Philippines where they embark on an intimate tour of the country with top government and business officials. 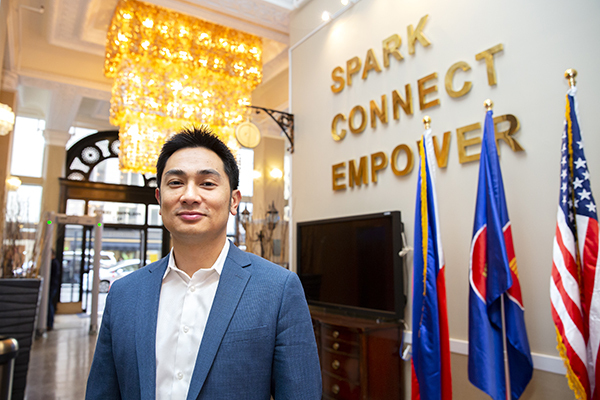 FYLPRO would be a chance to reconnect with his roots and apply his business acumen to the country’s economic and social challenges—the ultimate chance to give back. But the program was highly competitive. Tajo had applied in the past but hadn’t made the cut. When it came time to apply to MBA programs, Tajo searched for one that would help him achieve not only his professional goals but his personal goals, particularly acceptance to FYLPRO. “In looking at all my professional and personal ambitions, Berkeley had the program structure to put me in a position to achieve them all,” he says. After being accepted to several full-time MBA programs, he opted for the low-residency Berkeley MBA for Executives program with classes held Wednesdays through Sundays on campus in the same classrooms as traditional students. Another keystone program for Brian was the Global Network for Advanced Management, a group of 30 top business schools around the world that offer online and international courses. Through GNAM, Brian took a class on economic development in Southeast Asia hosted by the Asian Institute of Management in Manila. The five-day class drew students from Yale, Germany, India, and beyond to discuss case studies for the Association of Southeast Asian Networks (ASEAN), a group of smaller countries trying to offer business alternatives to superpower countries like China, Japan, and Korea. “It was so relevant to what I want to do,” Tajo says. That experience, along with the Berkeley program, gave him the edge he needed to make the FYLPRO cut. As a 2018 delegate, he spent the week in a state of wonder and joy. Escorted to venues not open to the public, they visited the governor’s palace and enjoyed an intimate dinner at the home of an ambassador, sharing a table with the nation’s senators, policy advisors, and business moguls. Recently graduated with the EMBA class of 2018, Tajo credits Berkeley Haas with making him more competitive for FYLPRO. More than that, though, he says his MBA journey reinforced his personal values.